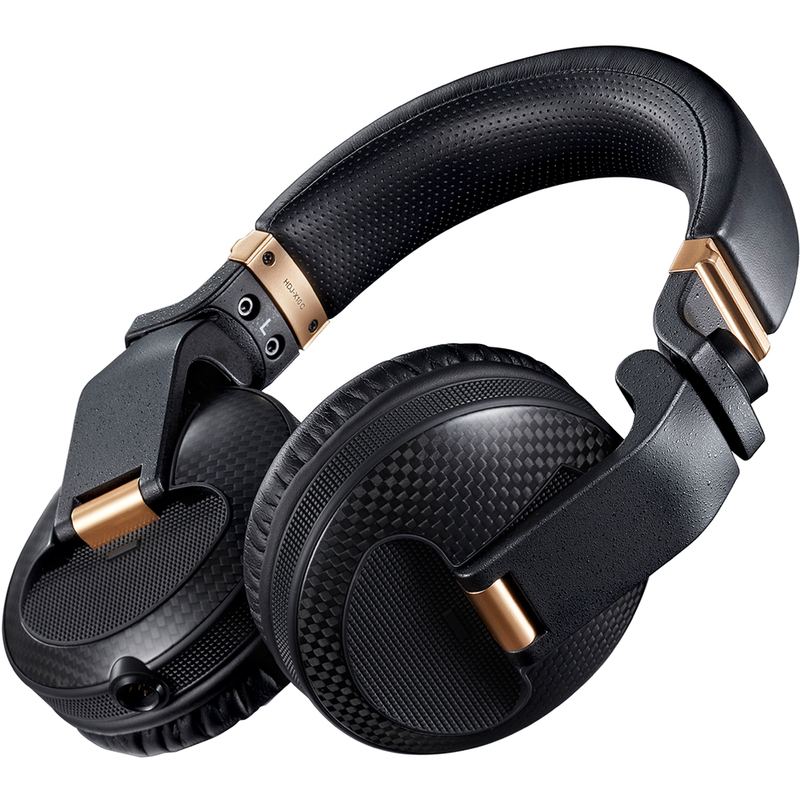 Pioneer improve on their flagship HDJ-X10 professional DJ headphones to bring you the premium, limited-edition carbon fibre HDJ-X10C. 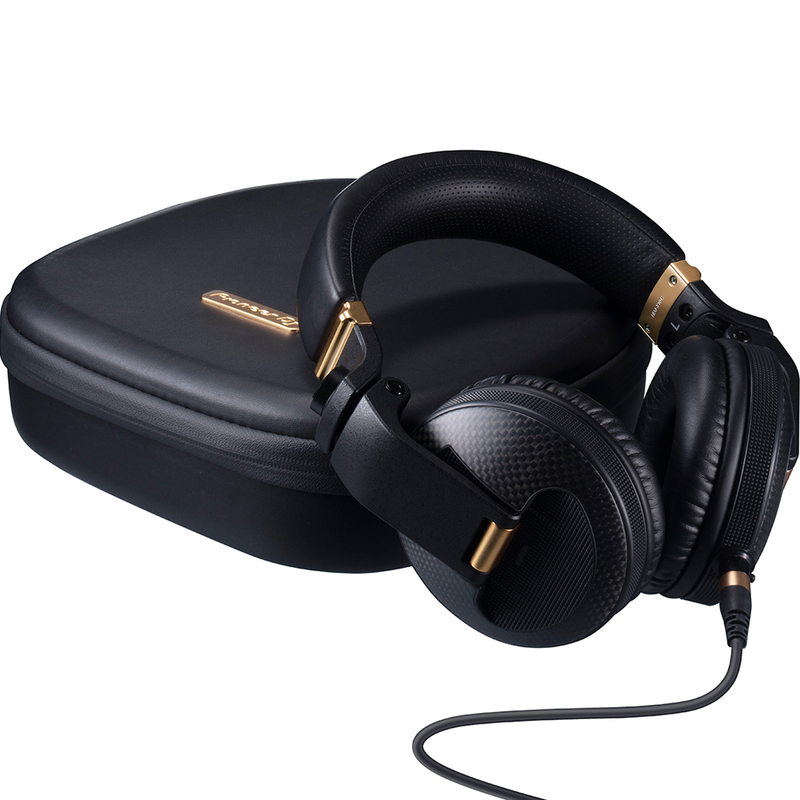 The special materials used in this one-off model not only deliver a premium look, but also help you listen to your tracks with pristine sound quality and lasting comfort during those marathon DJ sets. 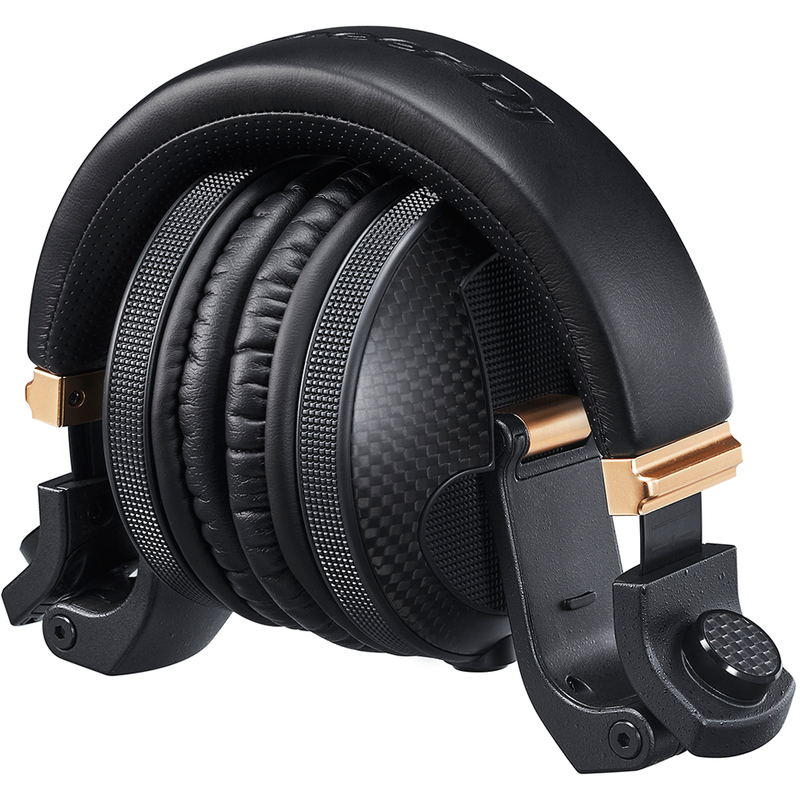 Carbon fibre in the housings reduces unwanted vibrations and filters out unnecessary noise, while the added metal plating delivers higher resolution sound at wider frequencies. 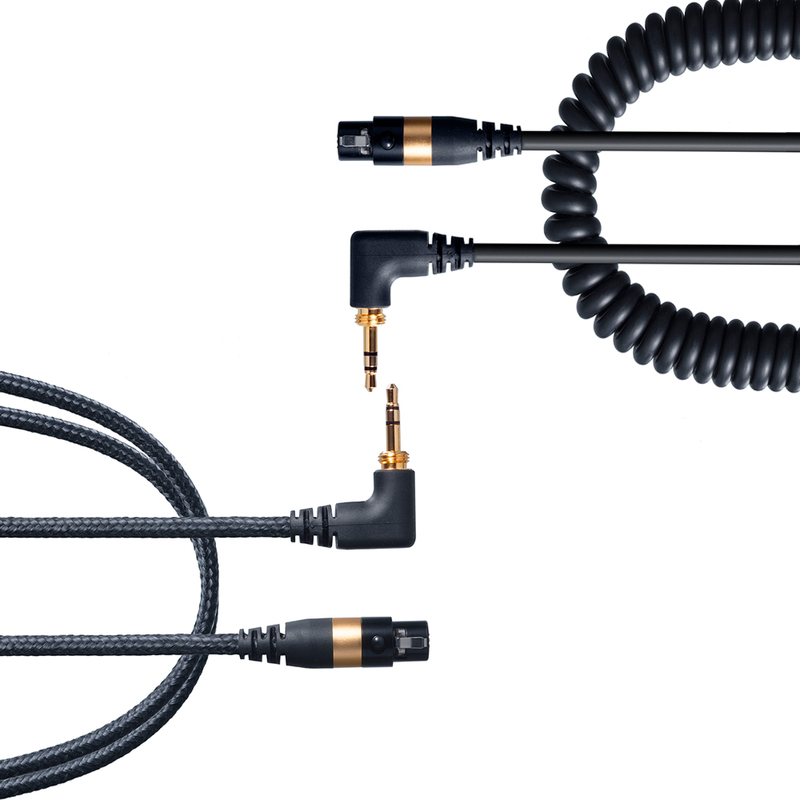 The body is just as durable as the original and, to ensure the straight cable stays strong through heavy use, we’ve coated it in extra-tough aramid. For added peace of mind, we’ve extended the warranty to 3 years so you can be confident that your headphones will retain their look and feel, year after year. Monitor your music with crisp, high-resolution sound thanks to the same 50 mm HD drivers used in the HDJ-X10 headphones. 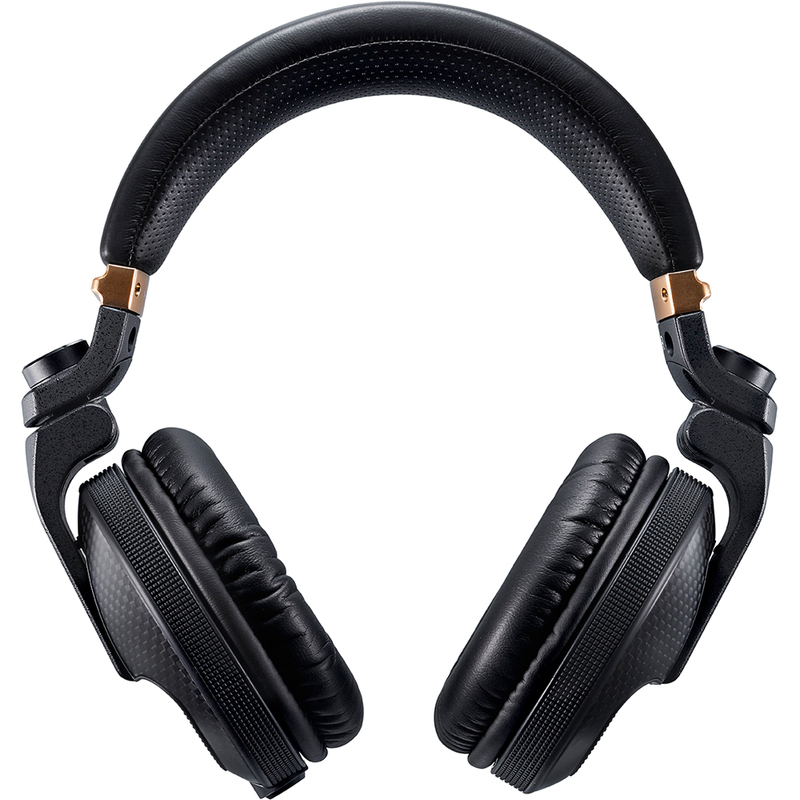 In addition, the housings are made of carbon materials that eliminate unwanted vibration and noise, while the inclusion of metal mesh maximises the performance of the HD drivers, so you’ll hear your mixes with the clarity they deserve. We’ve improved the flexible headband with breathable, punched leather to ensure they still feel comfortable at the end of those long, hot performances. Stand out in the DJ booth with this limited-edition design that features premium carbon-fibre elements and gold finishes. 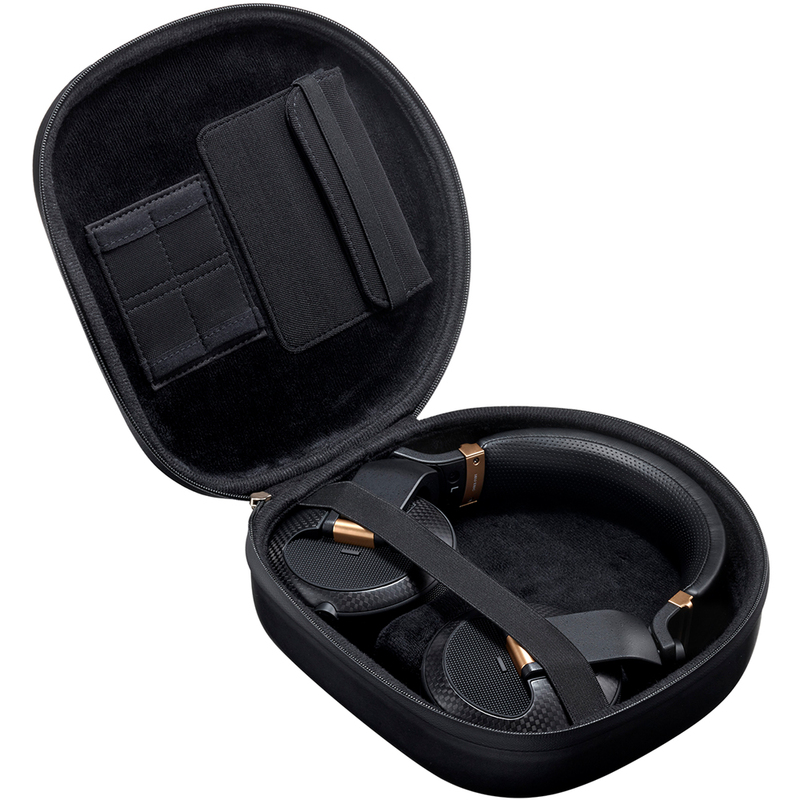 Along with the headphones themselves, we’ve transformed the high-quality polyurethane leather carry case with gold hues so they maintain their refined look on the move.